To lower the vehicle – when lowering a vehicle it must be remembered that the vehicle will be closer to: the road, the tyres and the suspension bump stops. 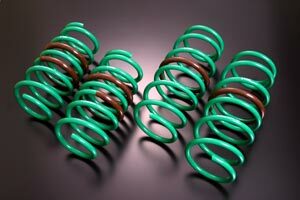 For these reasons, performance replacement springs should be fitted. 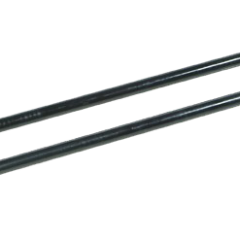 To maintain or return vehicle to standard height – most common when original springs have sagged or previously fitted lowered springs are no longer required. To raise vehicle – common in four-wheel drive vehicles, heavily laden vehicles, LPG etc., towing or when ever increased ground clearance is required. When improvement in handling is required, performance replacement springs will substantially reduce body roll and improve a vehicle’s stability. Performance-lowered springs will also lower a vehicle’s centre of gravity. 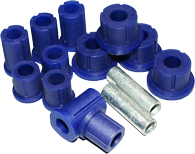 All vehicles are manufactured to a general acceptable standard and springs are no exception to this rule. With demands for comfort a growing priority, springs rates are kept as low as possible. 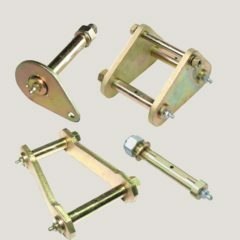 For this reason, the original spring’s ability to carry load and tow etc. is in most cases, poor. Performance replacement springs will decrease the vehicle’s ride height loss under load and improve vehicle stability when laden. 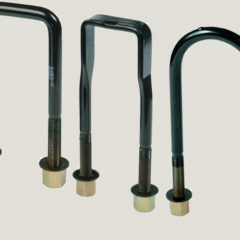 We have a range of springs to suit every vehicle and every application. As authorised King Spring distributors, we have a massive database of spring fitments and ride heights we can give you the exact height you want for your car or 4wd, or the right spring combination to suit your vehicle’s load carrying or application.